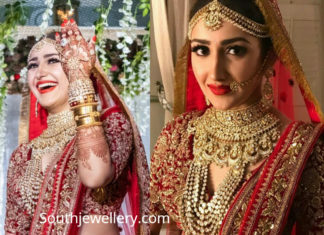 Bride in diamond and ruby choker paired with matching jhumkas. 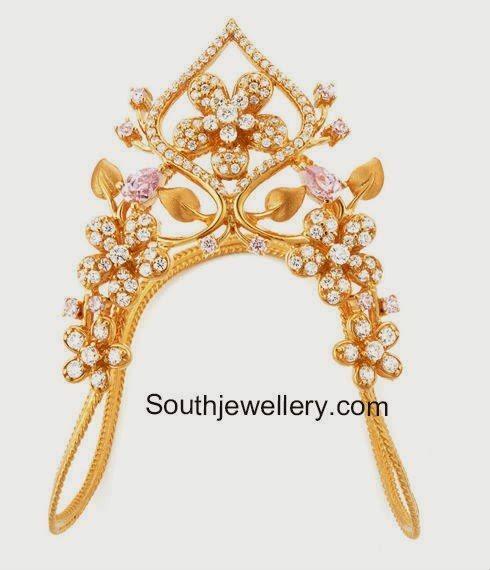 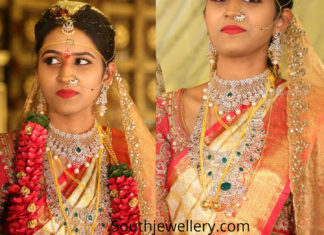 South Indian bride in diamond emerald jewellery set. 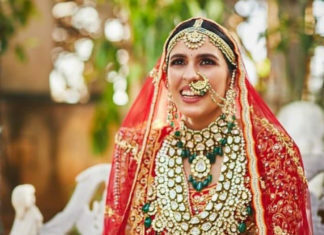 She adorned a diamond emerald choker, diamond emerald step haram paired with matching earrings, maang tikka and diamond emerald waist belt. 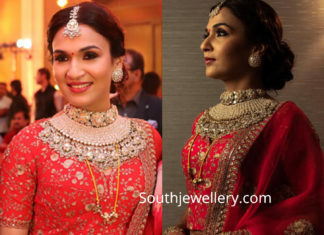 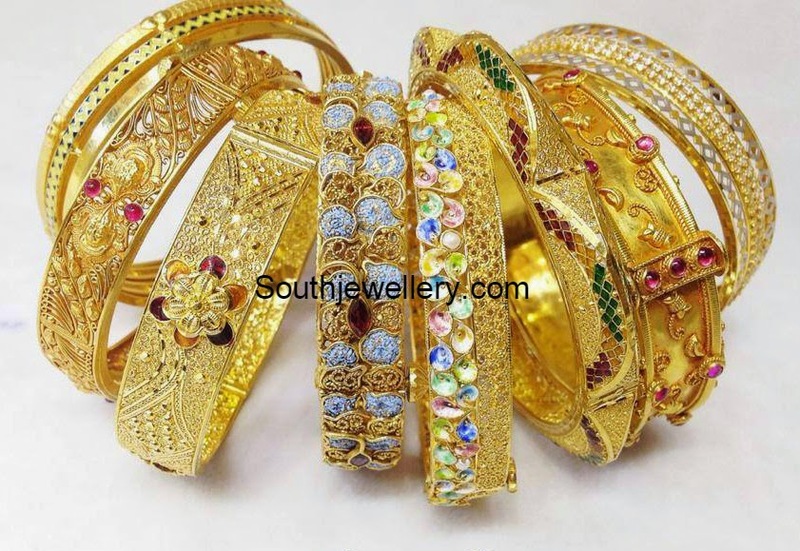 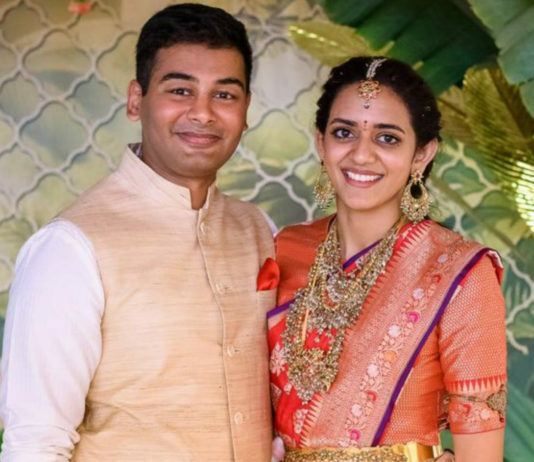 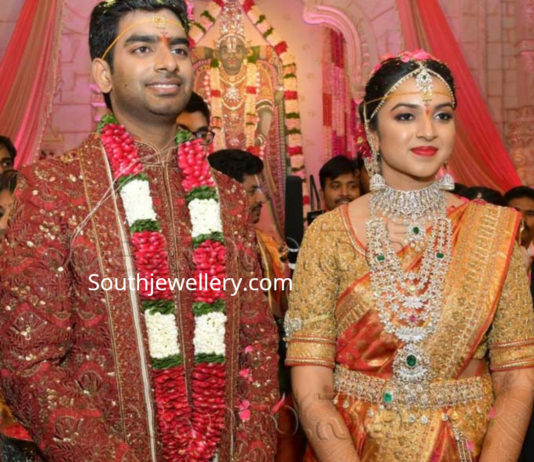 For her wedding reception, Soundarya Rajinikanth opted fro jewellery from Sabyasachi Heritage Jewellery. 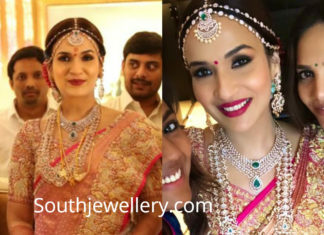 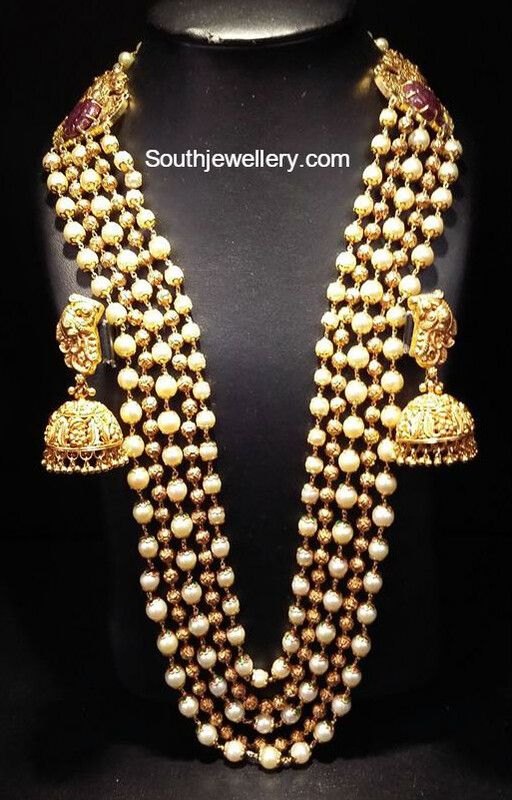 She wore a heavy polki choker with matching studs, maang tikka and bangles.